Well, hello there! It’s been a while – sorry – but now I’m back. There’s lots to catch up on, new patterns, new magazine launches and a very exciting new podcast to tell you about . My goodness I disappear to recover from dreadful pneumonia and while I’m gone the world of crochet goes mad!! Today I’m sharing another guest designer project from my new book. 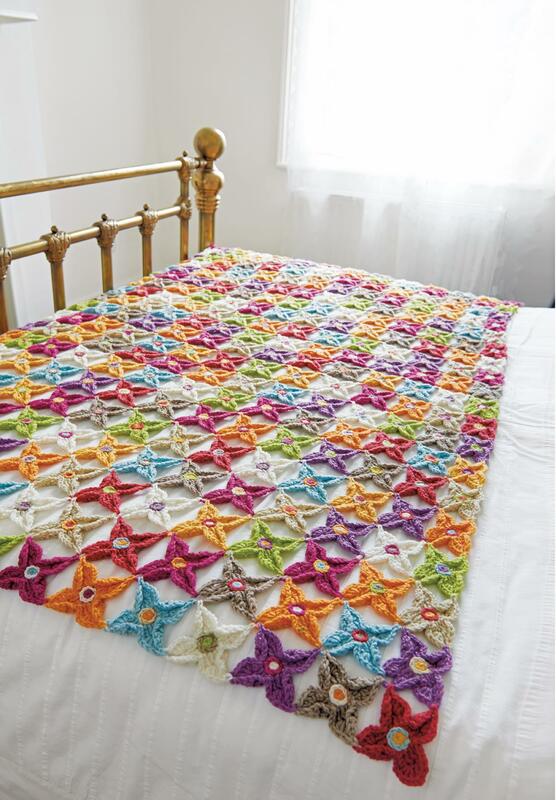 This one is a rather lovely blanket by Leonie Morgan. I must admit to having a bit of a “girl crush” on Leonie, she’s one of those designers you don’t see much on social media, but you’ll probably have at least one of her books on your shelf. I knew from the start that I wanted Leonie to design the motif project for my book. She has such a good eye for colour and can be relied upon to produce a well written design – essential when you’re working on a publication deadline. I was thrilled with Leonie’s blanket. On photo shoot day we all wanted to keep it, if it had fitted in my overnight bag I may have been tempted to “steal” it! The yarn is DMC Woolly, a 100% merino yarn which comes in fabulous colours. Leonie had great fun putting this one together I think! The motif is simple to make, and the join as you go technique means it works up quickly, it would make a great stash buster for all those “odds and ends” we crafters can’t bring ourselves to throw away. Thanks so much Leonie for agreeing to be a guest designer in my book – it was great to work with you! You can find Leonie online here or check out her designer profile on Ravelry here. Do look out for her books too, if you’re looking for motif inspiration you can’t beat them, and her ripple stitches book sits permanently by my desk for reference. 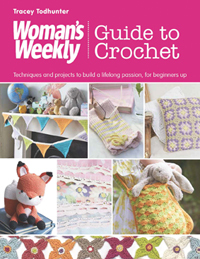 You can buy The Woman’s Weekly Guide to Crochet in most bookstores or online. 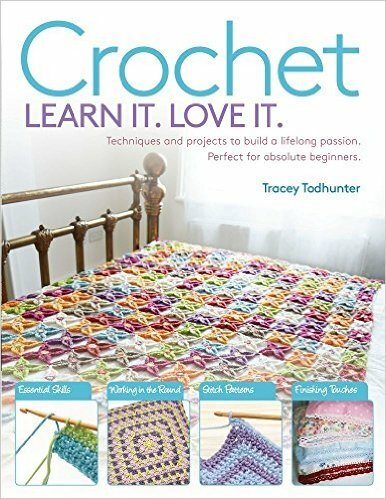 In the USA it’s available as Crochet. Learn It, Love It and Stephanie Lau (who designed the gorgeous Finnley Fox I shared with you, has written a blog post all about her involvement here). This is too gorgeous for words!